Ada Diamonds specializes in large, sensational diamonds of superlative quality. Our diamonds are cut from the highest purity diamond crystals, are always H or better in color, and eye clean. Much like mined diamonds, cultured diamonds are priced based on their quality characteristics. Use the tool below to view our diamond pricing. Are Lab Diamonds Less Expensive? Much like mined diamonds, lab diamonds are priced based on their 4Cs characteristics. Lab diamonds are typically 30-40% less expensive than natural diamonds of the same size and quality. Why Doesn't Ada Publicly List Diamonds? Unlike other online retailers, we do not list our inventory publicly. Why? Navigating through a database of thousands of diamonds is a difficult, intimidating, and sterile experience. You deserve better. Our expert gemologists use criteria beyond the 4Cs to curate a list of diamonds tailored to your specific inquiry. We are proud diamond snobs. We refuse to offer you mediocre diamonds. Can I Resell a Lab Grown Diamond? 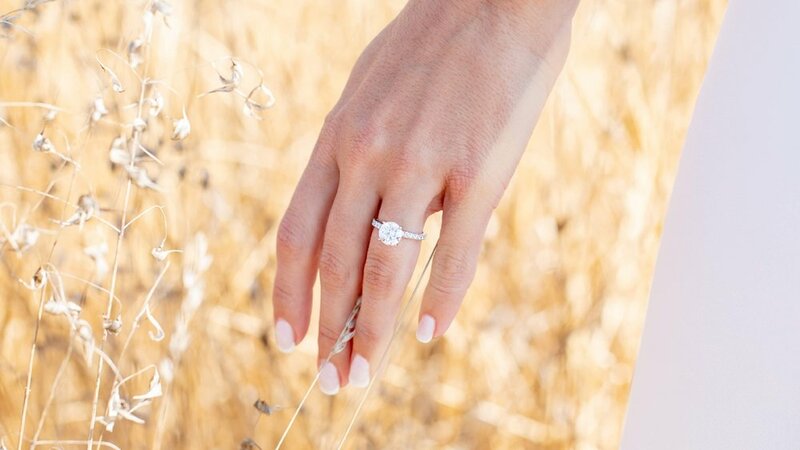 Yes, there is a resale market for lab grown diamonds. 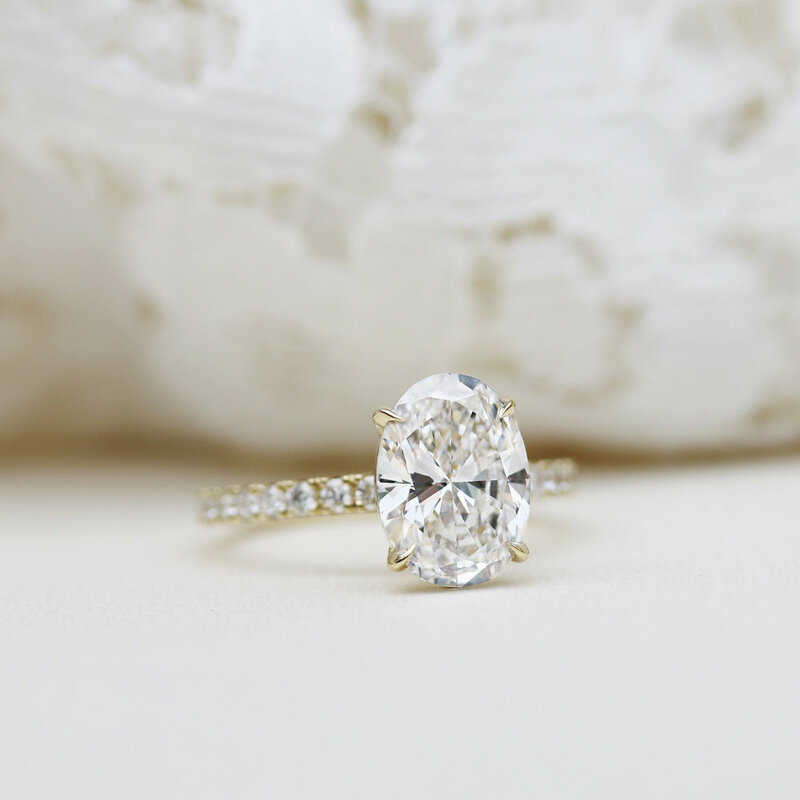 Just like a mined diamond, a lab diamond is also forever and will always have a resale value. In fact, Ada Diamonds purchases lab diamonds directly from the public through our Public Purchase Program. Ada Diamonds offers a lifetime trade-up policy if you desire to increase the size of your diamond(s) at a later date. Why Should I Choose a Lab Diamond? Known Ethical Origin: By refusing to use mined diamonds in our jewelry, we can guarantee that all the diamonds we offer are conflict free and in no way connected to the dubious diamond trade that continues to flourish to this day. Learn More. A Cleaner Purchase: The extraction of diamonds from the earth is fossil fuel intensive, environmentally damaging, and becoming less sustainable every year. Growing diamonds uses a fraction of that energy and does not contaminate fragile ecosystems in rivers and lakes. Learn More. Superior Quality & Size: Ada’s clients typically are able to achieve a 30% larger carat weight in lab grown over a comparable mined diamond of the same quality. Want a diamond you can be proud of? Lab grown offers the ability to go from unexceptional to extraordinary, carat for carat, price for price. How is a Lab Diamond Grown? Diamonds are lab created by recreating the conditions underneath the Earth that result in diamond growth: pressure, heat, & carbon. Today, there are two methods of growing diamond gemstones: High Pressure-High Temperature (HPHT) & Chemical Vapor Deposition (CVD). Each process is best suited for certain sizes & colors of diamonds. Learn more about growing diamonds. It takes 7-10 days to grow a 1 carat lab diamond, and about a month to grow a 3 carat diamond. If you try to grow a diamond any faster, the diamond crystal will fracture. Thus, there is a physical speed limit to how fast you can grow diamonds. Because diamonds are grown by recreating the conditions of nature, lab grown diamonds have the same variations of color and clarity that exist in natural diamonds (the 4 C's). 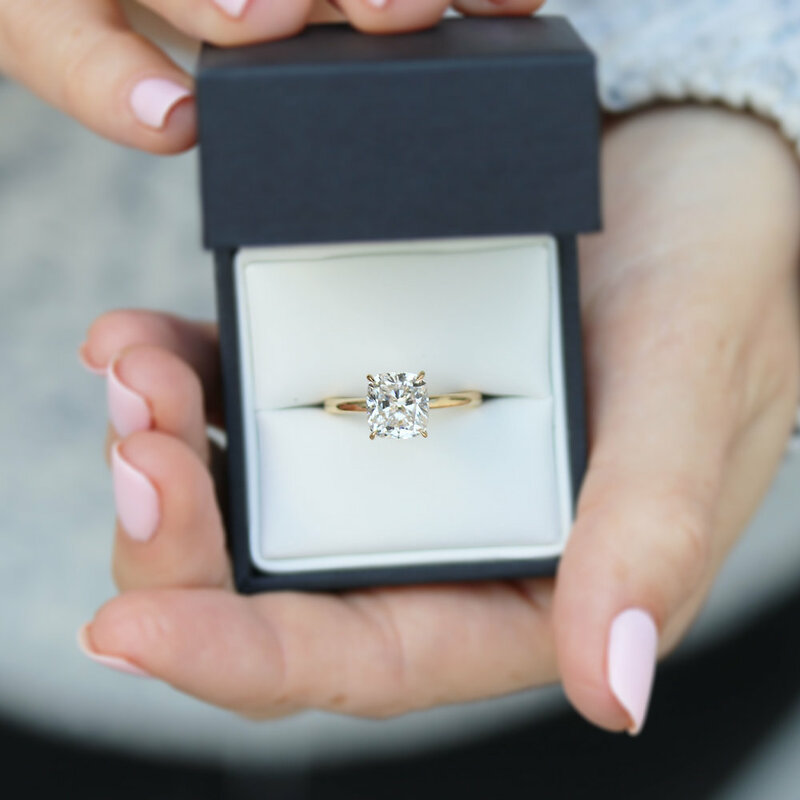 While the average laboratory-grown diamond is better quality than the average mined diamond, lab diamonds still range across the color and clarity spectrum, just like mined diamonds. 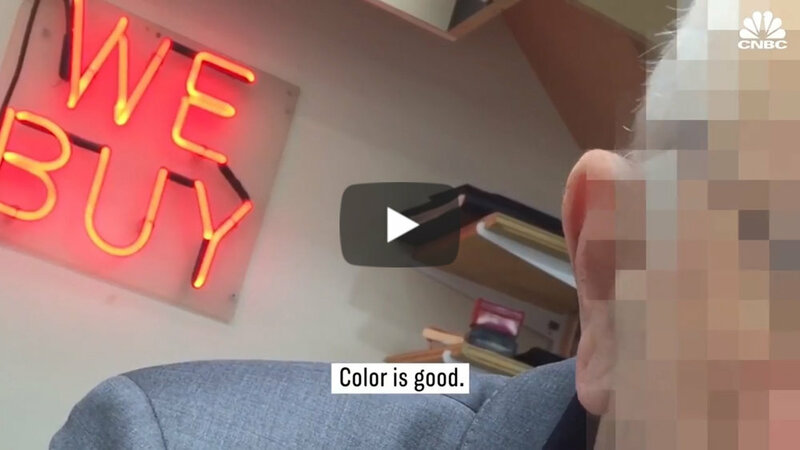 Can a Jeweler Tell the Difference? No, a jeweler cannot tell the difference between lab grown diamonds and mined diamonds, because they’re both diamonds! They have the exact same chemical and optical properties. 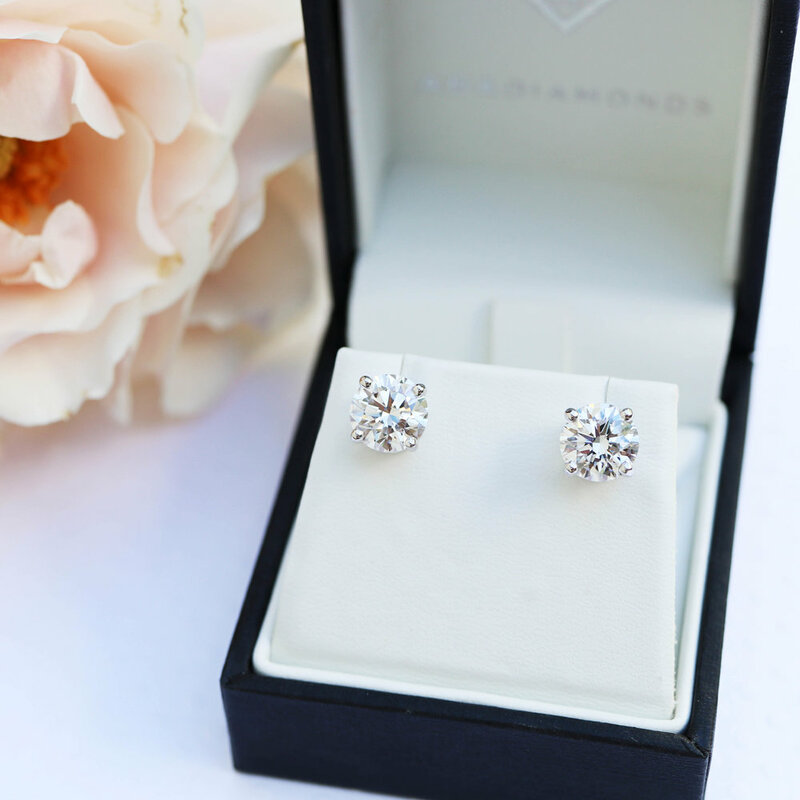 Ada Diamonds is proud of the origin of cultured diamonds. 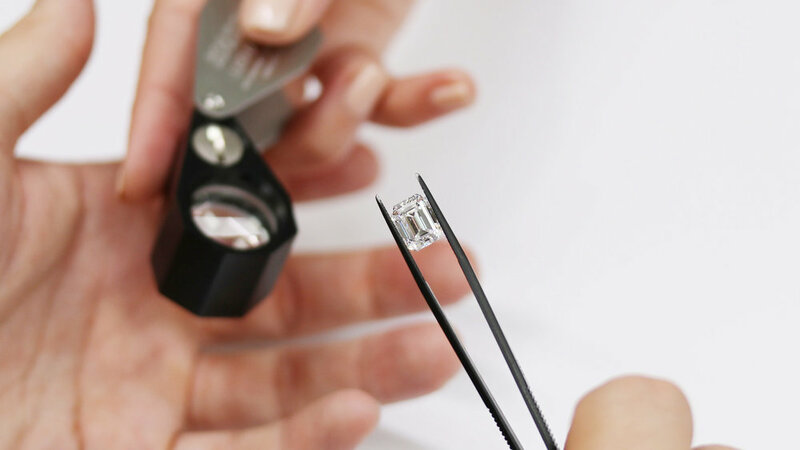 All diamonds above 0.50ct are microscopically laser inscribed by third party grading organizations with a unique ID number and the letters ‘LG’ indicating the diamond is lab grown. We are discerning diamond experts that reject over 85% of lab diamonds as beneath our quality standards. Just like mined diamonds, not all lab diamonds are created equal. You can rest assured that diamonds purchased from Ada Diamonds are of superlative quality, fire, and brilliance. 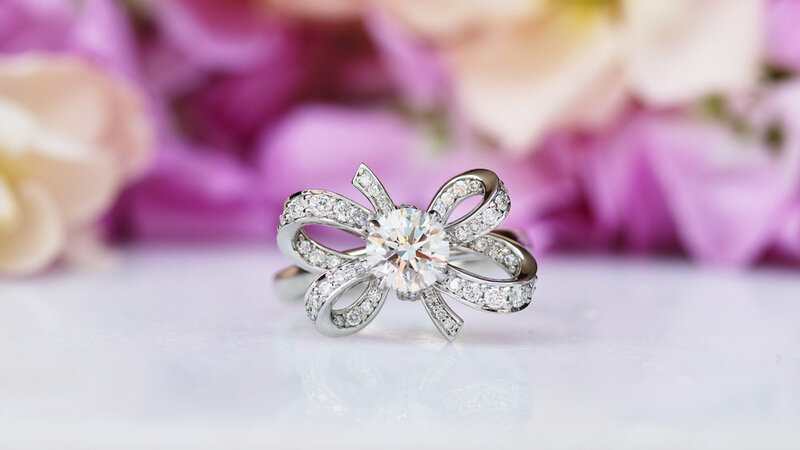 Every engagement ring and piece of fashion jewelry from Ada Diamonds is bespoke and custom made by award-winning artists in the United States. Feel inspired to modify one of our existing collection pieces or design from the heart. A purchase this important deserves an impeccable buying experience. Our friendly Diamond Concierge are reachable day and night, able to answer any question, and committed to creating the perfect ring for you, guaranteed. Whether it’s sensational diamonds, one-of-a-kind high jewelry, or bespoke opportunities with iconic brands like Rolls-Royce Motor Cars, we treat each client experience with the seriousness it deserves. Upon receipt of your inquiry, a Diamond Concierge will prepare a curated list of options. Luxury lab diamond engagement rings and wedding bands, each hand-crafted in the USA. Every piece features lab diamonds hand selected by our Diamond Concierge team. Ready to Start Your Concierge Experience?